"My dream began with the vision of providing exceptional and personalized child care. Children’s Learning Place is where children are nurtured throughout their development and my promise to you is to never lose focus on the family and your children." 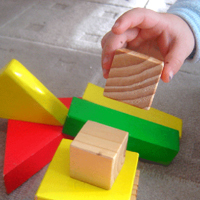 State agencies regulate and overseethe quality and compliance of every childcare center. At Children's Learning Place (CLP), our staff is trained to follow systems that have been designed to not only meet state regulatory standards, but where possible, exceed them. We monitor our staff in order to maintain the highest standards for security, safety and health as well as curriculum education and staff performance. In addition, our directors are responsible for conducting evaluations monthly. Routine procedures must be executed by Teachers and Directors to ensure all quality standards are met. They include a daily school check list and elaborate monthly and quarterly evaluations. There are management and staff evaluations, daily communications between the school, the director, and parents. These evaluations are further critiqued by the executive director. To further warranty the soundness and inclusiveness of our school, Parent Surveys are utilized in conjunction with Parent-Teacher meetings. These surveys and meetings are studied to be sure of the effectiveness of our school and, in addition, offer parent feedback. We strive at all times to keep the health and contentment of our children first and foremost. Our schools are cleaned and maintained under the strictest of procedures. There are routine assessments for compliance of curriculum, procedures and the general happiness and well being of each child. We have consistent evaluations for maintenance and cleanliness of our schools. Directors and staff are obligated to fulfill their duties to the highest degree. We sponsor continuing education courses for our staff. We set the standards high and expect those standards to be respected and fulfilled.